Spotify music, Netflix shows and content on other online streaming services could be blocked to British citizens on holiday in Europe if the UK leaves the EU with no deal, the government has admitted. At the moment, ‘portability’ regulation ensures that streaming services are not allowed to discriminate between someone when they are at home in the UK or if they are travelling to the rest of Europe. Users can go on holiday to France and still have full access to the Netflix films and Spotify music they get at home, for instance. But a tranche of newly-released official documents about the anticipated impact of a no-deal Brexit includes a paper that suggests the portability arrangement that exists with the bloc would “cease to apply”. The rules were agreed in 2017 and have been in force since April. Netflix made clear that its customers would still be able to access the service in the event of a no-deal Brexit. But when they do so they will most likely see the library of the country they are in, as happens if Britons travel outside of the European Union now. “UK Netflix subscribers are able to access Netflix everywhere in the world Netflix is available and will continue to do so once the UK leaves the EU,” a Netflix spokesperson said. The company said that “local catalogues vary due to licensing and local tastes”, but pointed out its original shows are available everywhere. The new papers also make clear that the same regulations would apply to geo-blocking regulation. That ensures that people can buy from online services across the continent, without being punished for doing so from another country. “Following repeal of the Geo-Blocking Regulation in the UK, traders from the UK, EU and third countries would not be prohibited from discriminating between EU customers and UK customers,” the papers say. Companies based in the UK and selling products and services in the EU will still have to comply with the regulation, to ensure that they don’t discriminate between people in different countries within Europe. The new geo-blocking rules go into effect in December 2018, meaning that they will apply to UK citizens for about three months before a possible no-deal Brexit in March 2019. The paper covering ‘Geo-blocking of online content if there’s no Brexit deal’ and another covering portability of content is one of a range of papers released in the latest set of documents from the UK government. 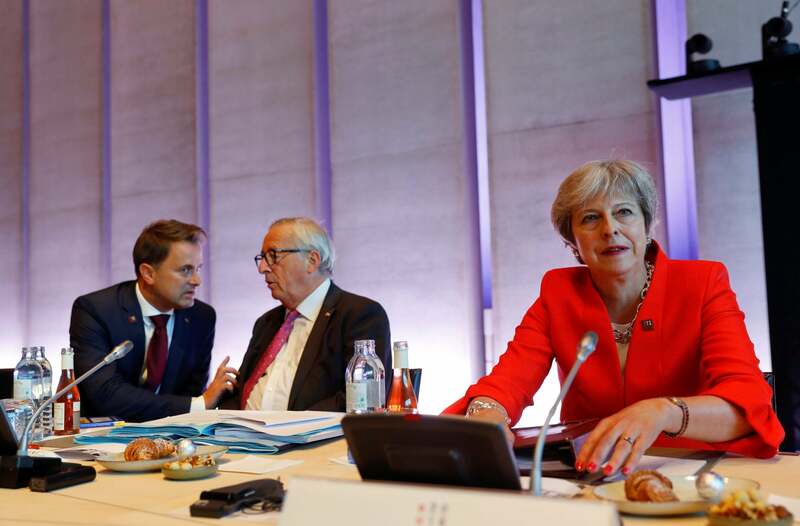 They also include new documents showing Britain could no longer benefit from deals that represent a significant portion of UK trade and that train journeys into and out of the EU could be disrupted.